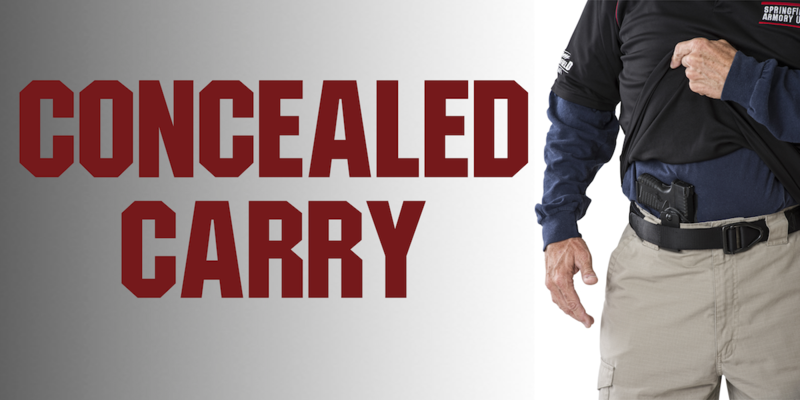 Maryland Wear & Carry Class (Concealed Carry) Friday and Saturday August 10 & 11 10 AM - Hendershot’s Sporting Goods, Inc. This is an intensive course that exceeds the training requirements for the Maryland Wear and Carry Permit. Curriculum is 8 hrs for renewal and 16 hrs for initial applications and gives a good overview of responsibility that comes with carrying a firearm on a daily basis. Students are also required to complete a rigorous 50 round qualification. Be prepared to fire 200 rounds (Supplied with the class. Ammunition is limited to either 9mm or .40 S&W any other caliber must be provided by the student). Students must bring their own handgun, 2 magazines, and holster. Class size is limited. Tuition is $249.99 (8hrs) and $349.99 (16hrs). Successful completion of this course does not guarantee that students will receive their wear/carry permit from Maryland State Police. Maryland is a “may issue” state and, as such, applicants need to have a “good and substantial” reason to be approved. For more information please visit the Maryland State Police website. This course is offered on 2 consecutive days. Initial applicants must attend both days. Students who are renewing their carry permits must attend the 2nd day only. If you are renewing your wear/carry permit, it is recommended you complete your training at least 3 months before your permit expires. If you have any questions about whether or not you may qualify, please call the Maryland State Police, Licensing Division.